Emergency Dentists USA is your source for convenient dental access right when you need it. Use our 24-hour hotline to speak to a live representative who can direct you to an excellent Norfolk emergency dentist and even set up your dental appointment. Or you can scroll through our emergency dentist listings below to choose a friendly and reliable dentist who has the office hours that suit your dental needs. Glad I found this site a few months ago and bookmarked it! Little did I know, several months later I would be experiencing the worst toothache ever. I was able to go to this site and find a local dentist who could help me right away! With a convenient and extensive listing of Norfolk emergency dentists on Emergency Dentists USA, finding the right dentist for your toothache is as simple as scrolling through our listings. Knowing what type of clinic you are needing helps when you are facing a dental emergency. Walk-in dental clinics are clinics that allow patients to walk in without an appointment. Partners In Dental Health works hard to make you a dental appointment that suits your needs as quickly as possible. Emergency 24-Hour Dental Clinics are clinics that are open 24-hours per day. O’Keefe Family Dentistry offers you an alternative to a 24-hour emergency after hours hotline to connect to the dental clinic. And last we have after-hours dental clinics, which provide both routine and emergency care at hours that are convenient to you, The Foleck Center in Norfolk is even open on Saturdays for dental emergencies. Emergency dentists are standing by to treat your dental problem regardless of when it occurs. Our comprehensive listing of Norfolk emergency dentists gives you a great selection of excellent emergency dentists to choose from when a dental emergency strikes. Description Call to be connected with the perfect dentist for you. Norfolk is a large city and we have the connections to find a dentist to fit your needs, and can get you an appointment immediately. You can get emergency dental help in Virginia fast. Description: This practice has stipulated they wish to work with your schedule and set up an appointment that can get you some closure on whatever urgent dental pain you may be experiencing. Description: Kool Smiles is a Norfolk-area clinic that has Saturday hours for their busy customer’s convenience. You can come here from 9AM until 2PM during Saturdays to get care, and see how you can better your overall dental health. 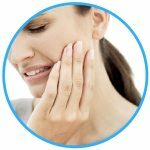 It may be a cracked or broken tooth, aching tooth that may soon become an abscess, or any other type of injury: here is where you can get repair and feel that you are moving forward. Description: The Foleck Center is a Norfolk-based clinic in the College Place area that has Saturday hours to make sure they are able to provide standout service to those that encounter difficulty during the weekend. You can find them here on Saturdays from 9AM until 1PM. Whether you have a very intense toothache or other incidents such as wisdom teeth coming in improperly, this is a clinic that you can find comfort and star service in. Description: Offering patients in the Hampton Roads area since 1930 quality dental services, the O’Keefe Family Dental practice is determined to provide a 24-hour emergency dentist in Norfolk for those struggling with acute dental pain. Contact the emergency after hours number provided above. Dr. O’Keefe and his staff are quite capable of proving to you a wide range of dentistry services including urgent dentistry care for those that need help now. A Norfolk emergency dental clinic is similar to your regular dental office. Each dental clinic offers both routine and emergency services that include x-rays, examinations, cleanings and even full mouth restorations if needed. Gather any recent dental x-rays and examinations that you may have, and bring them with you to see your emergency dentist. This will help your new dentist to determine the best course of treatment for your dental problem. Try to arrive approximately 15 minutes prior to your dental appointment to fill out the necessary paperwork. You can also use this time to ask questions about your procedure. Let your Norfolk emergency dental office staff know how you plan to pay for your treatment. Most dental clinics take cash, credit cards, personal checks and even offer low-interest payment plans for more extensive services. You will also want to check and make sure they take your insurance. Some common dental emergencies range from a painful toothache to an abscess or infection that can affect your entire mouth. We have done some research and outlined some of the most common dental emergencies below, along with a few at home remedies to try while waiting to see your Norfolk, VA emergency dentist. 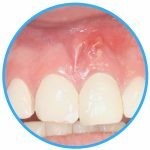 An abscess is a common dental emergency that is often quite painful and can become dangerous if not addressed in a timely manner. An abscess is actually an infection that affects the gums below the tooth or even between the teeth. The infection can spread to parts of the body like the bone of the jaw or soft tissues, making it important to seek help from an emergency dentist as soon as possible. To help with the pain of the abscess, you can rinse your mouth with warm salt water several times per day. This draws the pus from the infection toward the surface of the gum. A loose or lost crown is sometimes a painful dental emergency, especially if the crown is lost while you are eating. If you find the crown, rinse it carefully with water and apply over-the-counter dental cement or denture adhesive to the interior of the crown. Place the crown back over the tooth if possible. If it is not possible to place the crown over the tooth, bring the crown with you to see your emergency dentist. He or she can fix or replace the crown in a single visit in some cases. An emergency toothache is a common dental emergency that is generally painful and can definitely ruin a vacation. If you have a toothache, rinse your mouth with water and floss between the teeth gently. This will remove any food particles that could cause the pain. Never place aspirin or another painkiller between the tooth and cheek as this can burn the gum. Use a cold compress on the outside of the mouth to reduce pain and swelling. A lost filling is a common dental emergency that can be very painful. If a filling is lost, you can replace the filling with a small piece of sugarless gum or over-the-counter dental cement to protect the surface of the tooth from further damage. Try to avoid eating hard foods and do not chew gum with sugar as this can cause pain. A lost filling should be replaced as soon as possible to ensure that the tooth does not continue to decay and become painful or even infected. You may require an emergency tooth extraction if your tooth has decayed beyond the point where a dentist is able to fix the tooth. You might also need an emergency tooth extraction if your tooth is crowding other teeth in your mouth. It is important to have the extraction accomplished as soon as possible to lessen the healing time and the need for medications following the procedure. Your Norfolk emergency dentist will generally begin your procedure by taking an x-ray of the tooth and performing an examination. He or she then chooses a local or general anesthetic to ensure that you are comfortable during your visit. Then the tooth is removed from the gums and they are sewn closed using a type of suture that dissolves over time. A piece of gauze is used to control any bleeding. Full healing usually occurs within one to two weeks of the extraction. After your emergency tooth extraction, you should follow all of your dentist’s instructions carefully. Avoid eating solid foods and drinking from a straw for the first few days. You can choose to have the tooth replaced with an implant or a bridge depending on the location of the extracted tooth. When your dental emergency comes from a fall or a sports injury or even a car accident, you should visit the hospital emergency room before you head to your Norfolk emergency dentist. This ensures that you have no other injuries that could be life-threatening or dangerous. Visiting the hospital emergency room for a simple toothache is probably not the best plan. Although the hospital emergency room physician can help to alleviate the pain or infection, he or she is not trained to reconstruct damaged teeth. Heading to the hospital for a toothache could mean that you end up waiting in the hospital emergency room, having an examination and then being sent to a dentist anyway. 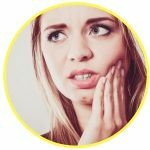 This process becomes a problem when you end up with a large hospital ER bill that could have been avoided by simply going straight to an emergency dentist with that toothache or a lost filling. 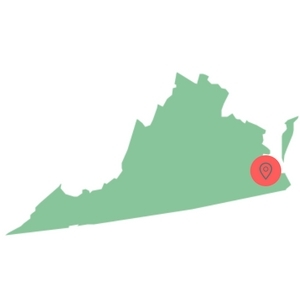 When you select a Norfolk emergency dentist, it is always important to ensure that your dentist is licensed and certified in the state of Virginia. 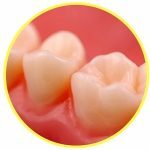 You can use the American Dental Association’s website located here: www.ada.org to check on current licensing and to learn more about dentistry. You can also select the Virginia Dental Association’s website located here: www.vadental.org to see current regulations on dental licensing in the state of Virginia along with helpful tips for excellent dental care.